The Director of Gariwo Sarajevo tells about the celebrations of European Day of the Righteous in Bosnia & Herzegovina. Here, a big annual ceremony is planned for bestowment of Dusko Kondor Award on people who stood out for or affirmed civil courage in the former Yugoslavia torn by one of the bloodiest conflicts of history. For Svetlana Broz, we all have to follow Gandhi’s principle: We need to be the change we wish to see in the world. What is the importance of celebrating European Day of the Righteous in Bosnia? After the recent war in Bosnia and Herzegovina we all do have obligation to remember righteous from this war as well as from WWII. Every righteous should be our role model. In the society where so many war criminals became role models of some young people that is why celebrating European Day of the Righteous is extraordinary important for all of us. Who will be honored with the Dusko Kondor Award this year? Besides this ceremony are you planning other ways to honor the Righteous of the former Yugoslavia? Đoko Stevanović was born in the village of Gornje Dubravice in Brčko municipality in 1958. When Yugoslavia began to disintegrate he was working in Slovenia but he was pressured by Slovenian politics to return to his home town, as were hundreds of other workers from all parts of Yugoslavia. He came back to Gornje Dubravice where his wife and two children lived and became president of the local chapter of the Serbian Democratic Party. He was murdered in the Luka camp in 1992. The Duško Kondor Award for Civil Courageis being given to Đoko Stevanovićof Brčko posthumously, because, fully cognizant of the risk he was undertaking, he sacrificed his life, thereby demonstrating civil courage, calling for peace with his neighbors of different ethnicity, helping them cross the lands controlled by the Serbian army and helping other people to the risk of his life. Senija Karamehić was born in 1949 in Derventa, Bosnia and Herzegovina. Fully cognizant of the risk she was undertaking, she demonstrated civil courage by saving lives of people of another ethnic group during the war and opposing the very logics of war in many ways. Rašid Palić, Sarajevo, Bosnia and Herzegovina – for civil courage. Fully cognizant of the risk he was undertaking, he demonstrated civil courage by fighting for justice during ethnic cleansing, even when this meant clashing with his superiors, some of whom have ties to the criminal element in Bosnia and Herzegovina and the region. Latinka Perović was born in Kragujevac (Serbia) in 1933. She attempted to democratize, modernize and liberalize the political vision in socialist Yugoslavia for which she was removed from the political scene at the time. She was one of the most outspoken critics of Serbian nationalism, especially Slobodan Milošević and his regime. She called his political system a culture of murder – guilty for the sufferings of others but also of Serbs. 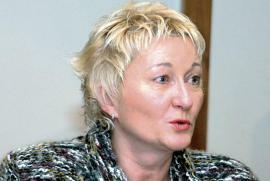 She was one of the first Serbians who referred to the crimes committed in Srebrenica as genocide. Mahatma Gandhi once said: We need to be the change we wish to see in the world. Hence this call to action. Building on the complex range offered by this inspiration, within the Civil Courage Education program—active since 2005, the Gariwo Sarajevo NGO has run Be the Change—Do Something for three years. This is a regional project with the partners: the Having What It Takes Foundation, the Civil Committee for Human Rights Zagreb, and the Helsinki Committee for Human Rights Serbia; it was sponsored by the Ministry for Foreign Affairs of the Kingdom of Norway and reached participants in Bosnia and Herzegovina, Croatia, and Serbia. Included in the project were three three-day seminars—75 participants and three eight-day sessions of the School for Civil Courage—75 participants; fifteen round tables—750 participants, and 30 public get-togethers with ambassadors—1500 participants. Thirty public talks were held for 3000 people. There were 69 university and secondary-school lectures before 6,000 students. The filming of a series of documentary films was a key piece of this project. We made 18 five-minute films and 18 thirty-minute films which have been seen by a total of 117,000 viewers. The film Neđo of Ljubuški tops the list with 109,077 viewers. These numbers do not include the viewers for the films broadcast on regional TV programs. We organized three award ceremonies in three consecutive years for the Duško Kondor Award for Civil Courage and Affirmation of Civil Courage, giving the award to 15 laureates from Bosnia and Herzegovina, Croatia, Serbia, and Montenegro. A total of 3,600 secondary-school and university students and members of the community attended the award ceremonies: 700 from Croatia, 200 from Serbia, 100 from Montenegro, and 2,600 from Bosnia and Herzegovina. The project has included publication of two series of titles, nine books in the series Pitanje svih pitanja [Question of Questions], and three books in the series Veritas. These books include, in 2012: Michael Lapsley Od žrtve do pobjednika [From Victim to Victor]; Irshad Manji, Allah, sloboda i ljubav [Allah, Freedom and Love]; Svetlana Broz Imam petlju [Having What It Takes] 13th edition; Dževdana Jašarević Koračaj dalje [Walk On]. In 2013: Tomislav Jakić, Nisam zavijao s vukovima [I Did Not Howl with the Wolves]; Svetlana Broz Imam petlju [Having What It Takes] 14th edition; Dževdana Jašarević Koračaj dalje [Walk On] second revised edition. In 2014: Goran Sarić Lijepo gore klasici Marksizma [Brightly Burn The Classics of Marxism]; Svetlana Broz Imam petlju [Having What It Takes] 15th edition; Boban Stojanović Kao da je sve u redu [As If Everything Is Fine] and Dževdana Jašarević Šareni cvjetovi budućnosti [Colorful Flowers of the Future]. Eighteen book presentations were attended by 2000 people in twelve cities, in Bosnia and Herzegovina: Tuzla, Banja Luka, Mostar, Zenica, Bijeljina, Konjic - Boračko jezero; in Croatia: Zagreb and Rab; in Serbia: Belgrade, Novi Sad, and Kragujevac. The media coverage of the project included 1,579 reports, of which 132 were on television, 276 were broadcast over the radio, 169 appeared in the print media, and 1002 on the Internet. A total of 123 interviews were published regarding the project. The project ended on 30 November 2014. So, our hope is that we will continue our activities especially on making documentary films for TV serial about righteous. What do you think, after the terror attacks in Paris, of the idea of honoring the Righteous in the Arab and Muslim world? I never made a difference between people regarding to their ethno-national or faith membership. So, every human being who acts as righteous should be celebrated and honored. I am sure that there are so many righteous in this part of the world as elsewhere and that it will be a good idea. What it is like to live with a strong Muslim community like the Bosnian one? I think that Europe in general misunderstands Bosnia and Herzegovina being trapped into politician’s lies in B&H. I do not consider B&H society as “strong Muslim community”. We live in B&H very mix having Muslims, Christians (Orthodox and Catholics), Jews and agnostics living together as during ten centuries ago. The Bosnian Muslim community was victim of genocide in the Nineties, like in Srebrenica. How do the Muslims remember these events? And the non-Muslims? The main event is annual anniversary of genocide in Srebrenica. On July 11th the commemoration with burial of remains of those who become identified in Potočari (nearby Srebrenica) always remind everybody that this story is not finish until the last victim will be buried. There is denial to some extent between population of Serbs in B&H as well as in Serbia. Members of Parliament did not agree and refused to adopt low against those who denial genocide in B&H. Dusko Kondor died because he was going to be a witness in court for a massacre against Muslims. Do you think the Islamist terrorists also offend the memories of such Righteous people? Every terrorist always offend the memories of every Righteous. Who are the “good people in an evil time”? Righteous people are those who show their civil or moral courage. I define civil courage as the will and ability to disobey, resist, oppose and to end by non-violent means the abuse of power by any public authority, private enterprise or individuals who deliberately neglect their duties to society or illegally use for their own advantage the levers of their political, economic or social power violating human rights – whether in the media, academic, ecclesiastical or family spheres. What is your message for the young people for European Day of the Righteous 2015? Mayor Moratti: "An important day for Milan"